We’re pretty used to Microsoft unveiling image detection bots by now; so far we’ve seen How Old, Twins Or Not, and Project Oxford the emotion-detection bot – but its latest one is by far the least successful at detecting images. Called the CaptionBot, the tool looks at the image you’ve uploaded to describe what it sees in the picture. It’s similar to what Microsoft demonstrated in its Seeing AI video, during which a bot helps a blind person describe what’s around him. But if this AI is to believed, we’re rather worried for that blind Microsoft developer. I assure you, I am fully female and possess only one body, and despite spending a lot of time on the computer for my job, I do make it to the gym occasionally. 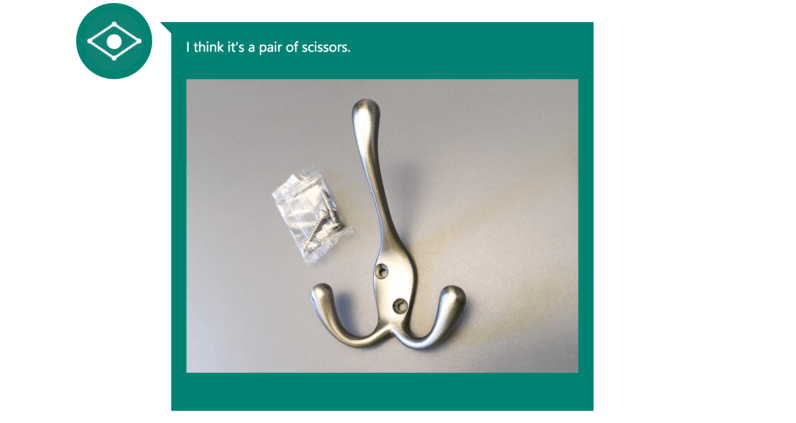 CaptionBot gets it right (or decently close) a lot of the time, but in some cases it can’t even figure out what’s in the photo despite what we think seems rather obvious. Also, when the answers for the following images aren’t “Your deepest darkest nightmares,” you know this AI’s got problems. It wouldn’t totally surprise us if Microsoft deliberately designed CaptionBot to be terrible, so we can all share its many misinterpreted photos. Still, you gotta hand it to the team for sharing something so stupidly entertaining, in hopes of actually being great in the long run. Have a go at it yourself here. Spoiler alert, it will block any photo it deems inappropriate, so don’t bother trying to get CaptionBot to say something risque.